Switching directions actually made some sense for all involved though. For one, Cindy would not have to shuttle us back to our cars from Swatara SP after we were done hiking. Two, we would be able to get onto the road to our respective homes sooner without the extra shuttle. Google & Cindy agreed, so after Google and I hit The Ranch House for the breakfast buffet (incredible French toast! ), we were off to Swatara! Now hiking north to south! I decided to try out my new camp/water shoes and splash across! The water felt fantastic on my feet!! I have NO regrets! A nice spot for a snack! Proud Family cemetery…5 minute walk off the trail…must see! We were again headed to the ridge where water was not reliable, so we cameled up at the spring just after the blue blaze to Rausch Gap Shelter. The creek from the spring was bright yellow-orange…isn’t that interesting? Not the water, just the stuff in the creek, the water was clear and tasted fine. Maybe that is how Yellow Springs got its name?? Moving on and up the mountain we passed a sign for “The General”. Apparently, the remains of the steam engine “The General” lay down this blue blaze scattered in the woods. I will need to go back to check this out! 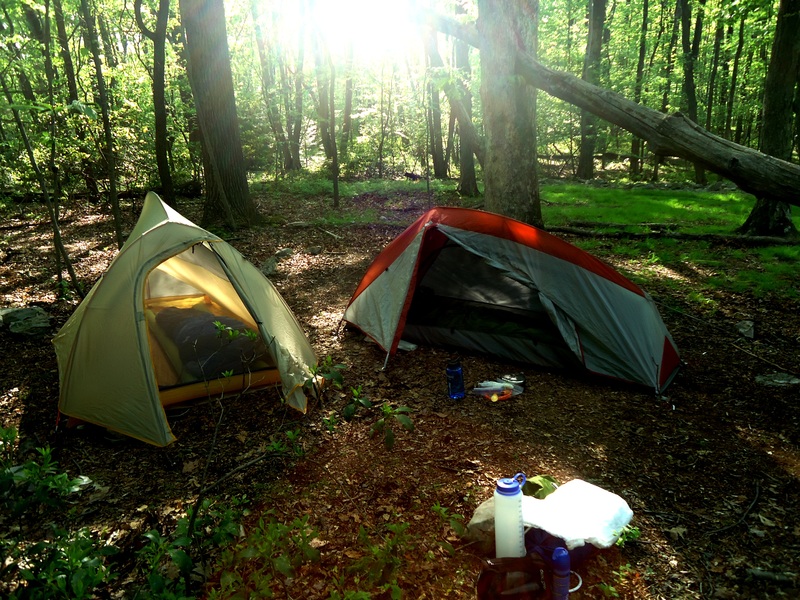 Arrived at Yellow Springs campsite shortly thereafter. We thought about moving on down the trail a bit before setting up our tents since we have a lot of miles tomorrow…but no. We stopped and dropped! Now I am cozy in my tent…no need for the bag tonight. I can see the stars in the sky and hear all of birds in the forest quieting down for the evening. It is lovely. 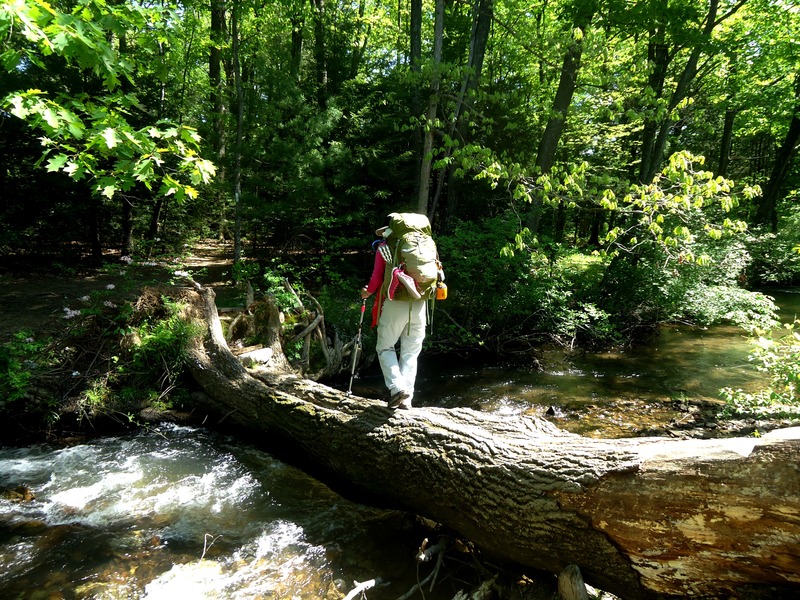 This entry was posted in AT-Pennsylvania, Uncategorized and tagged Appalachian Trail, AT-Pennsylvania, Backpacking, camping, Hiking, Outdoors, Rausch Gap, Recreation, section hiker, section hiking, Swatara State Park, tenting, Yellow Springs campsite.